Corus Entertainment has a big complex right beside the beach and this piano was tucked away on one side of the building. The piano itself, represents the Dominican Republic, another country that will be participating in the PanAm games in Toronto in 2015. The kids were great! 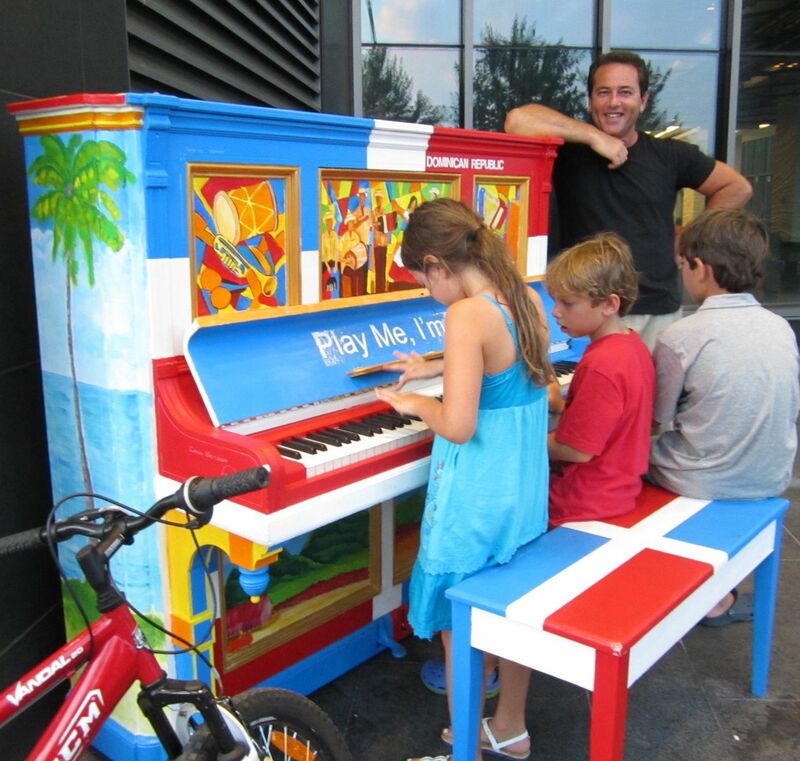 and they matched the piano!! People of all ages drawn together by music. 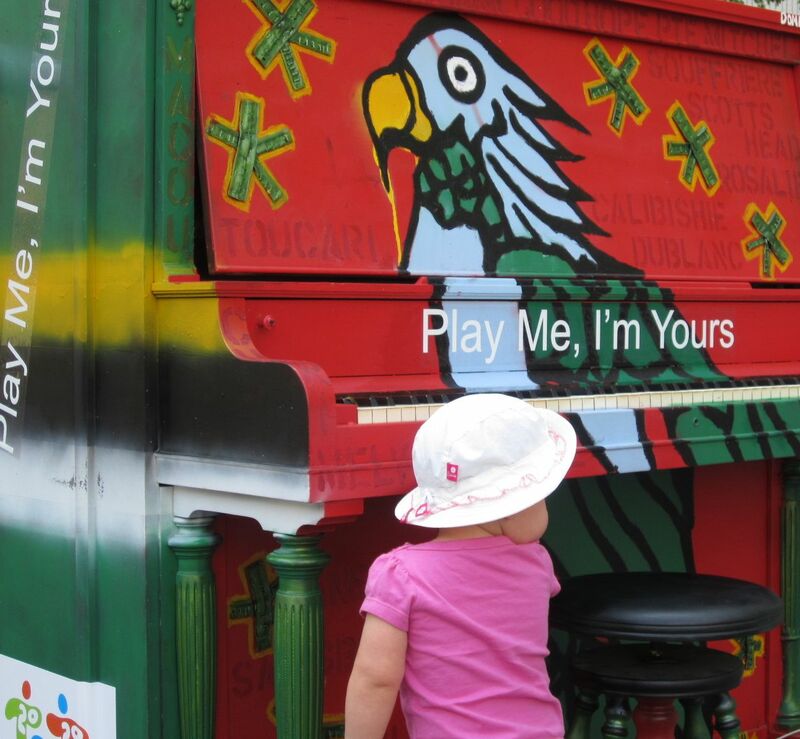 Here's another piano, Dominica, and a future pianist.